Do you need help with Telecommunications Procurement? Is managing your Telecommunications, adds moves and changes on a day to day basis a chore? Unsure about which telco technology, services or vendors to select? Or are you looking for assistance in gaining better visibility and control over your contracts and bills or just want someone to help manage Telecommunications Services for you? At CircleBC we are passionate about Telecommunications, we can assist you with anything and everything Telco related, ranging from telecommunications procurement, bill analysis services, reviews, audits, consultancy and as a broker to help you pick the right vendor based on your requirements. Does your business need assistance with Telecommunications Procurement? Is your business struggling to keep track of all your telecommunications services, products and expenses? Has your business procured multiple Telco products and services from a number of different vendors and are receiving multiple bills for services you aren’t sure you are using? Do you have mobile phone services and wireless dongles, that you are paying for and have no idea where they are and who is using them? Have you had a high turnover of staff or have grown rapidly, and have lost control of your Telecommunications expenditure? Has your company made multiple business acquisitions over the years and you have contracts in place with multiple vendors for different solutions that aren’t compatible? Ie different phone systems, different networks, different mobile, data and voice carriers? Then you should enquire about CircleBC and Telco Broker assisting with your Telecom procurement management and putting a proper telco procurement system in place. Circle BC can conduct an audit of your business, create a register of which staff members are in possession of which devices and services, we can then profile your usage and recommend based on your staff size and consumption, what telecommunications services and providers will best benefit your business, factoring in service quality, SLA’s, features and functionality, support and ultimately price. 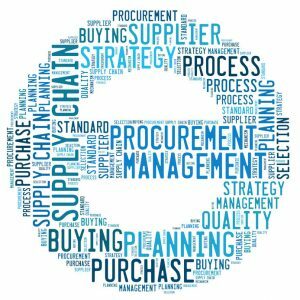 Alternatively, if you are just after some consulting or management of your procurement cycle, Circle BC can help with that also. Enquire today for a no obligation consultation. CircleBC have supported hundreds of Australian businesses with Telecommunications and Technology Services, including Sydney, Melbourne, Brisbane, Adelaide, Perth, Canberra and Hobart.